Season 1967-68 was always going to be a difficult one for Celtic. After having won all five tournaments open to them the previous season it would clearly prove well nigh impossible to maintain those standards from that momentous campaign. 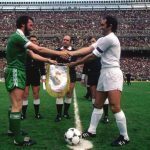 In November they had endured a desperately long trip and two harrowing games in South America against Racing Club that had saw the club’s good name and reputation damaged after the players had understandably reacted to the deplorable tactics of the Argentines. In the domestic game, Rangers were desperate to overcome Celtic’s new found dominance and had embarked on a huge signing spree for that time. Erik Sorensen, Andy Penman, Orjan Persson and a certain Alex Ferguson had all arrived at Ibrox for big money as Rangers made it clear that they would now be a more difficult proposition than before. It had worked out well for them as they led the league race from the start of the season to the closing stages as Celtic attempted to recover ground after some indifferent form caused by their South American hang over. As the season moved to its finale Rangers held a narrow lead over the Celts and with just three games remaining the ‘Gers blew it. 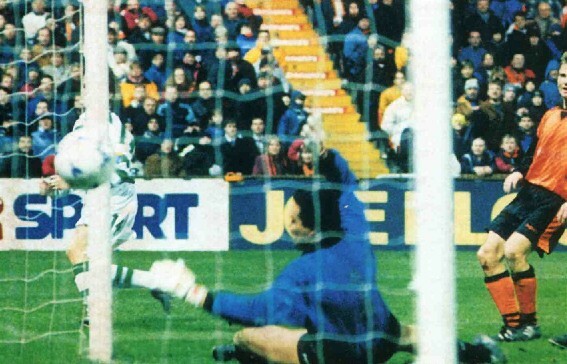 A 3-3 draw at Cappielow against Morton had allowed Celtic to draw level on points and go on top due to their vastly superior goal average (goal difference was some years away). On the same night Celtic had massacred Clyde by 8-1 in the Glasgow Cup final at Hampden, thus sending out the message that they were truly the team on form. It was ironic that Morton now came to Parkhead on the following Saturday, April 20th 1968. 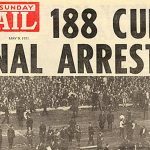 Celtic knew that two wins would give them their third consecutive title under Jock Stein but they were also aware that any slip ups could be fatal. Due to their heroics against Rangers, the Morton players were given a terrific ovation by the Celtic supporters as they took the field. 51,000 had crammed into Parkhead and they were ready to cheer Celtic to victory but things were not to go as well as they expected. Willie Wallace had given Celtic an early lead but on the stroke of half time, Joe Mason had equalised for the Greenock side with a spectacular 25 yard shot. In the second half Celtic constantly hammered away at the Morton goal without success. Jimmy Johnstone was on top form but a mixture of bad luck and bad finishing had cursed Celtic. Time was fast running out and the fans were aware of Rangers winning at Rugby Park. If Celtic didn’t score then a draw would be fatal to their chances and hand back the initiative to Rangers with only one game remaining. Jock Stein was seen leaving his dug out to urge his players to greater effort and to give tactical instructions. There were literally only seconds left when the inexhaustible Johnstone sent in one last cross. As the ball broke in the area Willie Wallace was caught off balance as the ball dropped. 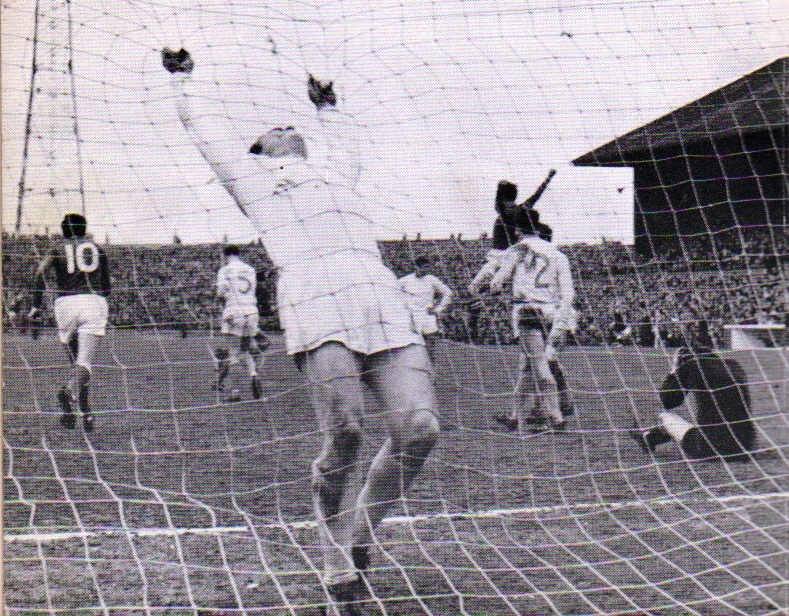 Bobby Lennox, with his back to goal, showed a great striker’s awareness by swivelling and firing his shot past the despairing Morton goalkeeper. Celtic had made the breakthrough a last ! 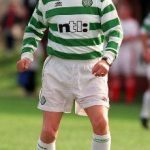 Parkhead exploded with joy as young fans ran on the field in celebration as Lennox was swamped by his delirious team mates. It’s not even clear if the referee restarted the match and it’s thought wee Bobby had scored with THE very last kick of the ball. Meanwhile, over at Rugby Park, Rangers had beaten Killie and happy Rangers fans had invaded Rugby park in celebration of Celtic’s perceived draw at Parkhead. The news eventually filtered through on the radio of Lennox’s late goal which had left the Rangers followers absolutely devastated. 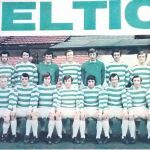 It then materialised that Celtic won their final fixture against Dunfermline at East End Park, ten days later, and the Bhoys were now well on their way to nine in a row. On a personal level, this was a game my Dad used to talk about with relish for years to come. 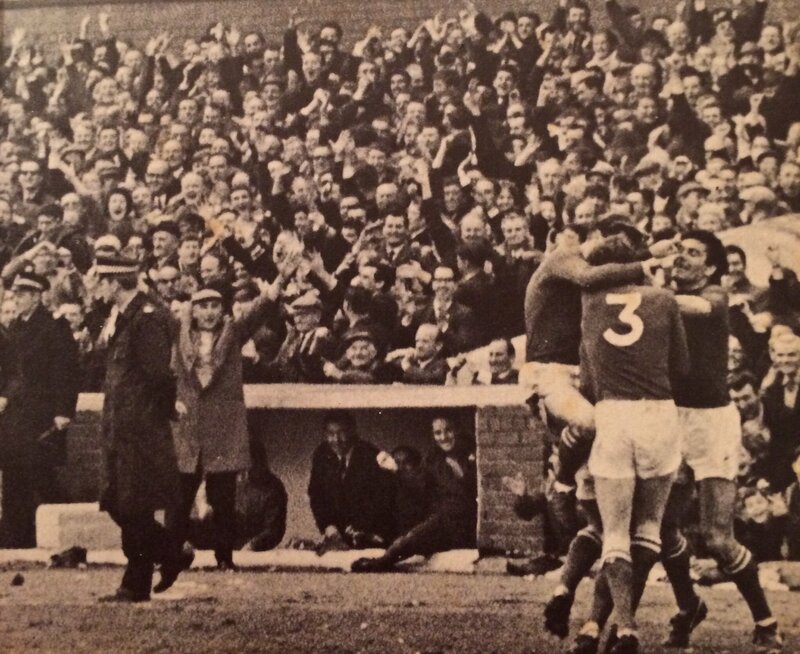 He would joyfully relay the proceedings that day and describe in detail the feelings he felt around him when Lennox scored that dramatic winner. 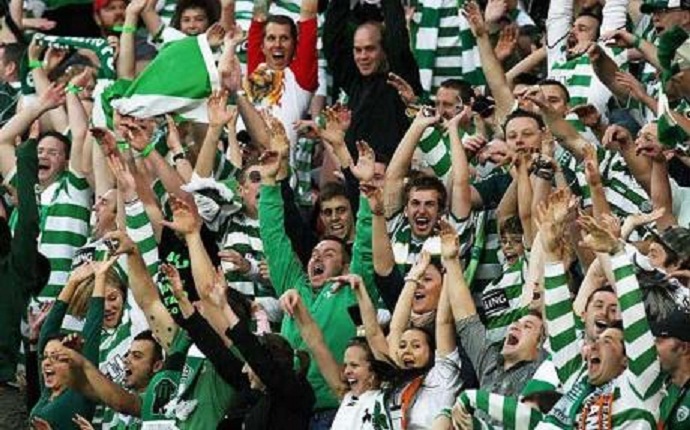 Many Celtic players also commented in later years that the Celtic supporters had kept them going to the very last with their fanatical backing so the fans should also take great credit. As a young boy there was always a photo which fascinated me. 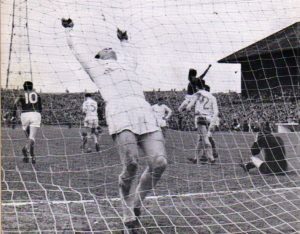 It was of a Morton player hanging on the goal net in anguish as he failed to clear Bobby Lennox’s shot as the Celtic striker turned away in ecstasy. It’s a photo I will never tire of looking at.